The #1 ranked Allen Eagles Varsity Wrestling team is on a hot streak, off to fresh first place finishes at the 6-6a district championships in Coppell, and the 2-6a district championships in Allen. Confidence and morale are high within the team, with every player having their own successes. 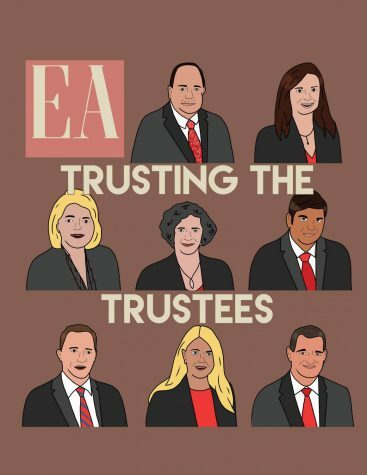 Team members said they are confident in their ability to not only succeed but dominate. This is especially shown in their overall team score of 317.5, a whole 74 point advantage over second place at the 6-6a district championship and a 311.5 point team finish at the 2-6a district championship, more than doubling the second place finish. Individual performance and improvement seem to be important topics, and it clearly shows with their first place finishes. With seven of the 13 players being underclassmen, these young players have a drive to improve and be even better than they are right now. 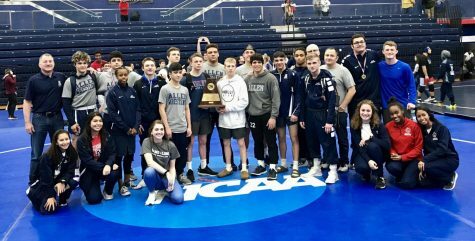 The future looks especially bright for the Allen Eagles wrestling program, as they seem completely unstoppable with a great sense of accomplishment and camaraderie together. Their momentum that will carry going into future events will prove to be a game changer in defeating their rivals. Their major opponents within the Boys 6A team rankings are Arlington Martin, Katy, and El Paso Franklin, who have all had respectable rankings within the last few tournaments, and will all be hungry to try and take Allen’s first place spot. The Allen Eagles recently just took gold at the UIL State Conference 6A boys championship. This is their 10th consecutive title at the event. Their confidence as a team and individually are proven in their ability to win tournament after tournament and title after title. The Allen Eagles Varsity Wrestling Team is a threat to be feared within the high school wrestling scene. They are dominating on all fronts of their competitions and are Texas’ #1 ranked team.